Join us as we honor those who gave everything for our freedom. 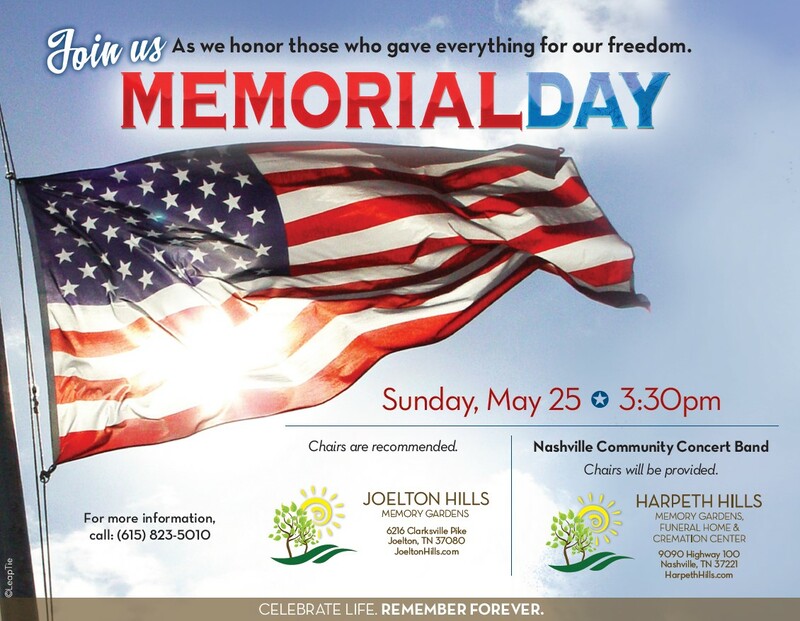 The concert will take place in our Pavilion at Harpeth, located near the funeral home. If you have any questions please call 615-646-9292.